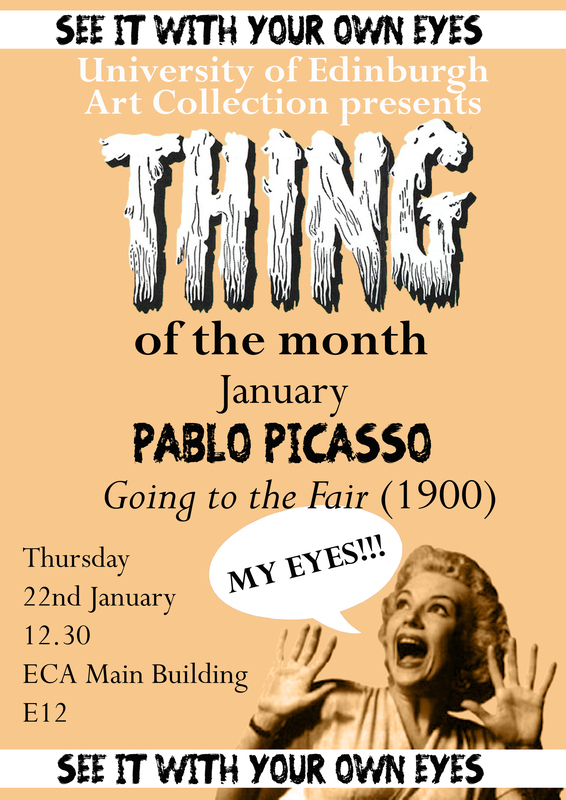 Starting next week is our new event at ECA: Thing of the Month. Head over to E12 on your lunch break to get a close up look at a thing from the Art Collections and a chance to hear more about it. On the 22nd we’re getting our Picasso pastel out, with Professor Neil Cox providing our first guest lecture.